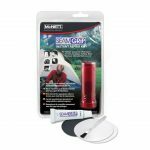 Black Nylon Repair Tape: A combiniation of real tent fabric and high-strength adhesive, Tenacious Tape makes fast, permanent repairs. 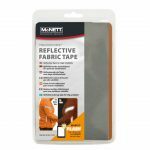 Clean adhesive technology allows Tenacious Tape to be removed without leaving duct tape’s ugly gluey mess. 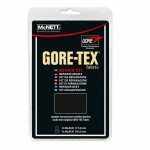 Works on nylon, vinyl, netting, plastic and breathable fabrics. 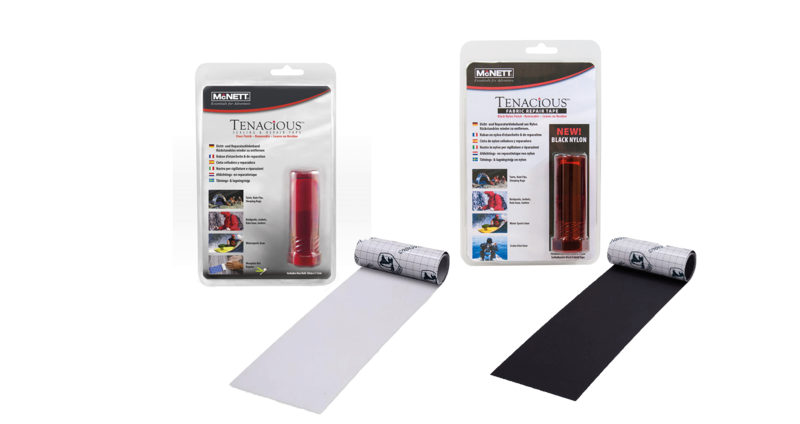 Tenacious Tape™ is part of the McNett GEAR AID™ product range. 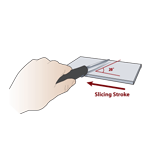 For smaller repairs, cut tape for appropriate size, allowing overlap of repair of at least 25mm in all directions. 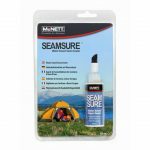 If more permanent repairs are desired. 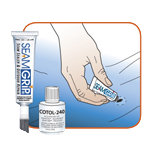 Tenacious Tape can be used with Seam Grip® or Aquaseal® Urethane Adhesives. 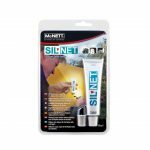 If used in this manner, follow adhesive application instructions and overlap the adhesive with Tenacious Tape by at least 25 mm.